Scenario: Harley concludes the murderer to be Isao's father since he was in the room where the string and needle was found. 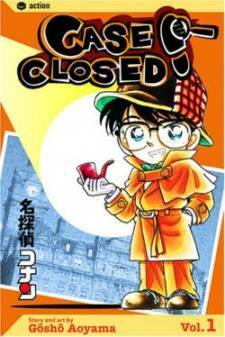 However, Jimmy appears and reveals that Harley's deduction of the murder is incorrect, stating that the key's position inside Isao's pocket would be impossible if he was murdered that way due to the tightness. He also reveals the string and needle were found in many rooms and that they were meant to convict Isao's father. As for the real murder method, Jimmy explains the Opera music and book stack were to cover the victims screams and face in case Isao woke up after being pricked by the poison needle. He then reveals the murderer to be Kimi and exclaims the evidence is in her keyholder which should reveal the groove of a needle. Kimi confesses and explains Isao framed her former husband of corruption resulting in his death and tricked her into marrying him. Isao revealed it all in a fit of rage when he discovered his son was dating Yukiko, daughter of Kimi and her former husband and she then formulated a plan to murder him. As Kimi is taken away by the police, Jimmy escapes to the bathroom and becomes Conan again. Rachel finds him in the bathroom and asks him about Jimmy's whereabouts, but collapses soon after. Three days later, Conan plans on drinking Paikaru to become Jimmy again, but Rachel hides it upon discovering him drinking alcohol. 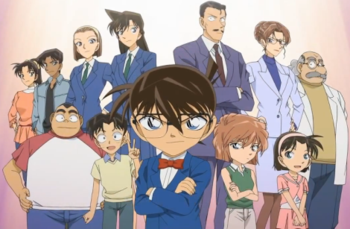 As Conan is escorted by his friends to the Library, he opts to play with them one last time before returning to normal.